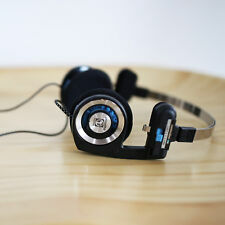 Koss Porta Pro X Massdrop headphones. I have had it for a month or so. It is in mint condition. Shipped with USPS First Class Package. PORTA PRO ONEAR HEADPHONES COLOUR- WHITE ( LIMITED EDITION ). The ultra portable on-ear headphones. Comfort Zone setting on temporal pad for comfortable secure fit. Koss Porta Pro Headphones,Rubber Wire,Red/Black With Straight Plug As Photos. Two adjustable temporal-comfort zone pads shift the pressure and perfectly balance the ear plates on your ear. Cord: Dual Entry, 4 feet. PORTA PRO ONEAR HEADPHONES COLOUR- BLUE ( LIMITED EDITION ). The ultra portable on-ear headphones. Comfort Zone setting on temporal pad for comfortable secure fit. Two adjustable temporal-comfort zone pads shift the pressure and perfectly balance the ear plates on your ear. Designed for deep bass performance. Cord: Dual Entry, 4 feet. Comfortable, secure fit with adjustable headband and multi-pivoting earplates. 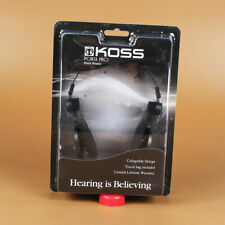 Koss Porta Pro Headphones,Nylon Wire,Black With L Plug As Photos. Two adjustable temporal-comfort zone pads shift the pressure and perfectly balance the ear plates on your ear. Cord: Dual Entry, 4 feet. Koss PortaPro headphones are world renowned for their comfort and sound quality. What you see in photo is what you get. 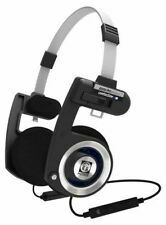 021299179727, Koss Porta Pro KTC Ultimate Portable Headphone. Clean and good condition. Pictures show the actual item and what's included. Its not going to help for any issue. The exact item is shown in the pictures. For sale is a new Koss Porta Pro headphone. Never used because it is a closed box. Connector Type: 1 X Headphones (Mini-Phone Stereo 3.5 Mm). Two Adjustable Temporal-Comfort Zone Pads Shift The Pressure And Perfectly Balance The Ear Plates On Your Ear. Koss Porta Pro KTC, the most sophisticated version of the Porta Pro, features a new technological upgrade which brings listeners closer to the music they love. Koss Touch Control (KTC) remote and microphone technology, made for iPhone, iPad and iPod, gives listeners more control in fewer steps. Listeners are now able to stay connected, shuffle song and adjust volume with the flick of a switch.Koss Porta Pro KTC features the standard setting sound performance the original Porta Pro established over 25 years ago. Designed for those with refined musical taste, the lightweight Koss Porta Pro KTC does not sacrifice practical functionality for great sound. Constructed from Mylar, the elements are extremely rigid, minimizing mechanical distortion and ensuring exceedingly accurate sound. 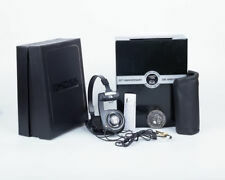 Porta Pro Hard Case included, 1-Year Limited Warranty. Wireless Bluetooth On-Ear Headphones, Bluetooth 4.1 with apt-X. The inventory is updated and monitored regularly. There is no local pick up. Koss Porta Pro On Ear Headphones with Case, Black / Silver. This is handled through the device that the headphones are plugged into. Connector Type: 1 x Headphones (mini-phone stereo 3.5 mm). Comfortable, secure fit with adjustable headband and multi-pivoting earplates. 3 Pair Of Replacement CushionsFits Porta Pro, Sporta Pro, Ksc-10, Ktx Pro1, Ktx8, Ptx6, Ksc75, Ksc-11 And Ksc-10 Model HeadphonesReplacement Earphone Cushions. New porta Pro active lifestyle headphone in Black. The inventory is updated and monitored regularly. The best prices Quality Products. We are always updating our catalog with new and exciting products. Koss introduced the PortaPro headphone back in 1984, and they've been a hit ever since. What's in the Box Koss Porta Pro Headphones. Also designed for comfort, these headphones have two adjustable temporal-comfort zone pads to shift the pressure and perfectly balance the ear plates on your ear. Ultimate sound and comfort for music lovers. Connectivity Technology: Wired. Frequency response 15-25,000Hz, 101db SPL sensitivity, 3.5 mm plug. The inventory is updated and monitored regularly. Adjustable Headband for maximum comfort. 5 Broken koss Porta (4with rubber wire red/black is one side of the headphone is silent,1 with the black with microphone is silent,other is ok). Koss Porta Pro On Ear Headphones with Case, Black / Silver. Koss introduced the PortaPro headphone back in 1984, and they've been a hit ever since. What's in the Box Koss Porta Pro Headphones. This is handled through the device that the headphones are plugged into. Koss introduced the PortaPro headphone back in 1984, and they've been a hit ever since. Get just the right amount of pressure. What's in the Box Koss Porta Pro Headphones. Also designed for comfort, these headphones have two adjustable temporal-comfort zone pads to shift the pressure and perfectly balance the ear plates on your ear. KOSS Porta Pro Red/Black Nylon Wire Without Microphone Portable HIFI Headphones. 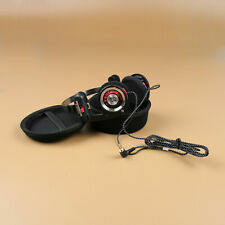 Koss Porta Pro Headphones,Nylon Wire,Red/Black With L Plug As Photos. Two adjustable temporal-comfort zone pads shift the pressure and perfectly balance the ear plates on your ear. Cord: Dual Entry, 4 feet. You get just one pair of headphone with buggy bag. Two adjustable temporal-comfort zone pads shift the pressure and perfectly balance the ear plates on your ear. Cord: Dual Entry, 4 feet. Comfortable, secure fit with adjustable headband and multi-pivoting earplates. ・ Traditional KOSS PORTAPRO sound. Color: Beige. - are not in a hurry to receive your order. _ _ _ _ _ _ _ _ _ _ _ _ _ _ _ _ _ _ _ _ _ _ _ _ _ _ _ _ _ _ _ _ _ _ _ _ _ _ _ _ _ _ _ _ _ _ _ _ _ _ _ _ _ _ _ _.
Trending at $51.21eBay determines this price through a machine learned model of the product's sale prices within the last 90 days. PORTA PRO ONEAR HEADPHONES COLOUR- RED ( LIMITED EDITION ). The ultra portable on-ear headphones. Comfort Zone setting on temporal pad for comfortable secure fit. Two adjustable temporal-comfort zone pads shift the pressure and perfectly balance the ear plates on your ear. Cord: Dual Entry, 4 feet. You get just one pair of headphone with buggy bag. Comfortable, secure fit with adjustable headband and multi-pivoting earplates. Koss Porta Pro Headphones,Nylon Wire,Blue/Black L-With Storage Box As Photos. Comfortable, secure fit with adjustable headband and multi-pivoting earplates. You get just one pair of headphone with buggy bag. Comfortable, secure fit with adjustable headband and multi-pivoting earplates. Cord: Dual Entry, 4 feet. You get just one pair of headphone with buggy bag. Best Regards.